Nebraska isn't quite done adding players to its 2019 class yet. Sutton (Neb.) High School offensive lineman Garrett Nuss announced Monday that he is walking on at Nebraska. Nuss (6-5, 240) was an all-state performer as a senior and frequent visitor to the Huskers' sideline during the 2018 season. 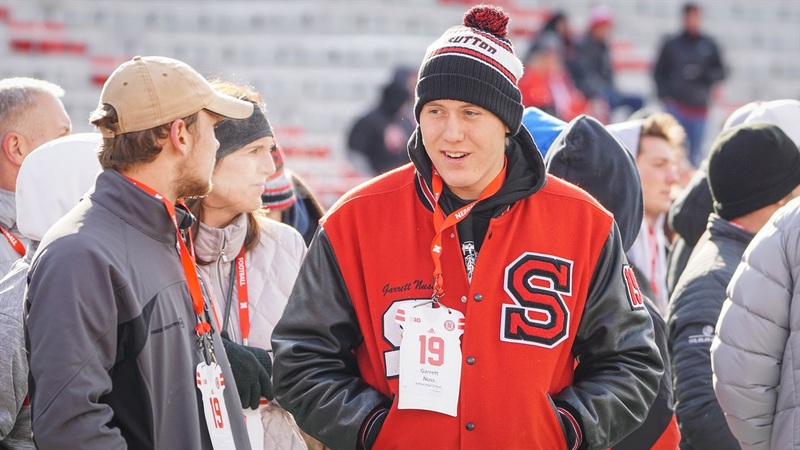 He received his walk-on offer at the Homegrown Huskers event in December and is Nebraska's 25th walk-on in the 2019 class. Two, Nebraska's freshman class––both incoming freshmen and redshirt freshmen––now includes 83 players. That includes scholarship signees, walk-ons and transfers. Freshmen, given that most players who redshirt do that in the first year, always have the largest numbers on the roster, but 83? On a roster that currently numbers 162? That's a pretty clear effort to engineer an edge. And, of course, an edge that was long associated with Nebraska, but there's something about the numbers right now that really drives it home. Based on the walk-on classes officially released by the university––plus these two latest additions––Scott Frost and staff has added 44 walk-ons to the roster since taking over in December 2017. Iowa Western transfer center Joshua Wegener is expected to join the program as a walk-on this summer. Just for comparison's sake, Nebraska added 27 walk-ons under Mike Riley. Total. Nine a year. That group includes some good players, too. Names like Andrew Bunch, Ethan Cox, Hunter Miller, Jordan Paup, Wyatt Mazour and Jacob Weinmaster. Schuyler Central High School has a new head football coach and it's a name you might recognize. Ankrah, a Maryland native, played in 49 games between 2010 and 2013 at Nebraska. He also spent time with Houston and Tennessee in the NFL and the Ottawa Redblacks in the CFL. Nebraska is in the market for a new defensive line coach after Mike Dawson took a job with the New York Giants. The sold-out spring game on April 13 will be televised by the Big Ten Network. The Huskers are adding William Przystup, a transfer punter from Michigan State, to the roster. Przystup punted in the last four games for the Spartans, including against Nebraska, while maintaining his redshirt. Greg Smith looks at how the Huskers will replace what Dawson brought to recruiting.